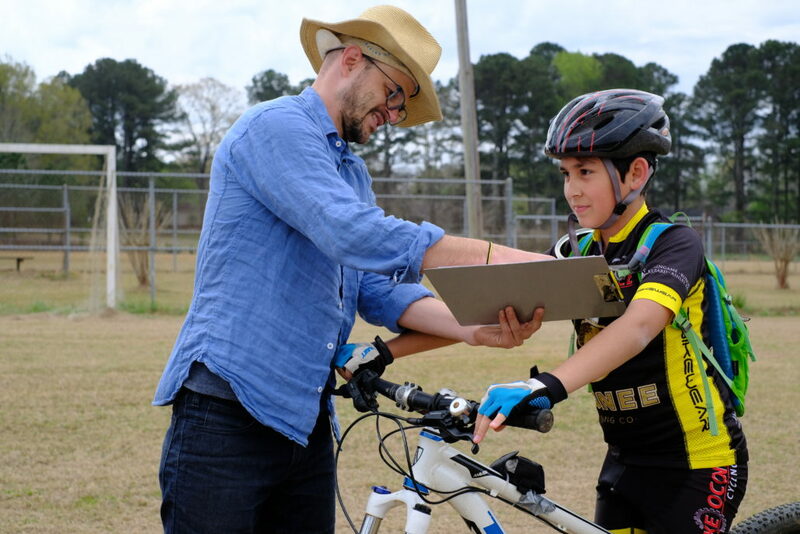 Thanks to grant funding from the Governor’s Office of Highway Safety, we here at BikeAthens have been able to expand our bicycle education opportunities. In one branch of our outreach, we focus on youth education in efforts to promote visibility (riding bright); knowledge of traffic law (riding right); helmet use, bike handling, and basic bike maintenance. 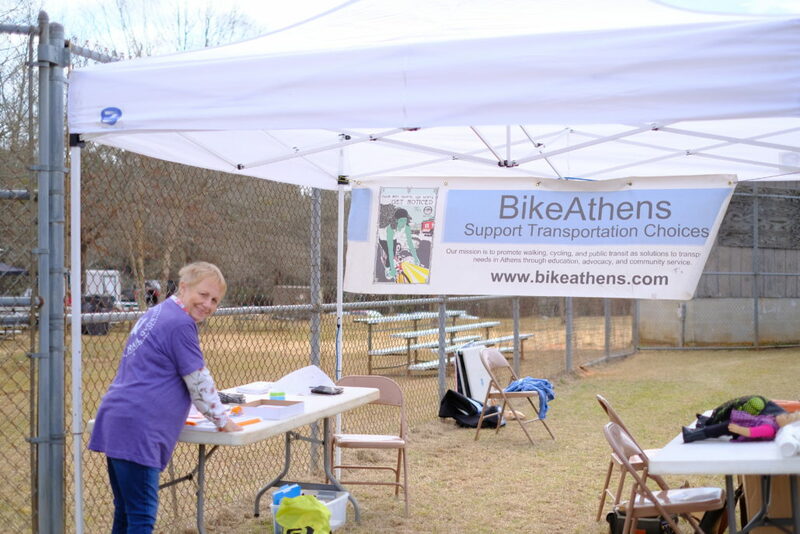 In March, we had two successful kids events. 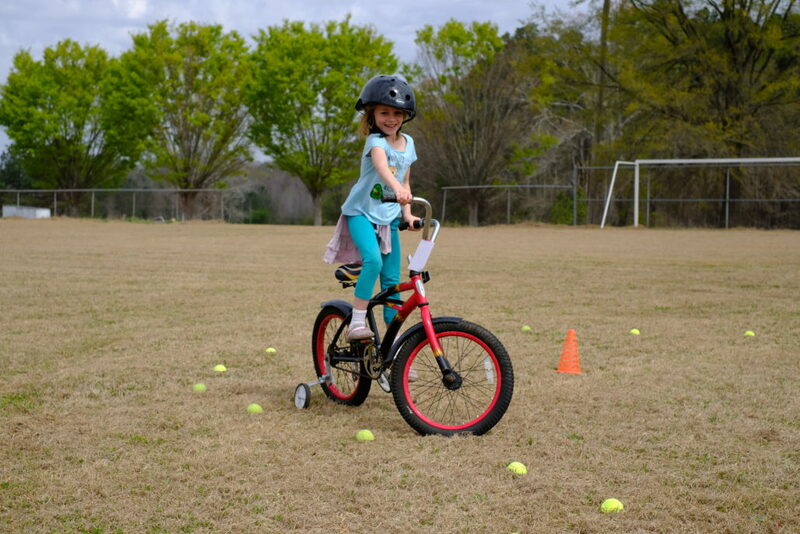 Check out some of our great photos of kids learning how to Ride Right and Ride Bright! First, we set up a kids bike safety rodeo in Union Point. We have long supported both the Firefly Trail and the Ticket to Ride. This was the first year we partnered to host a kids event. 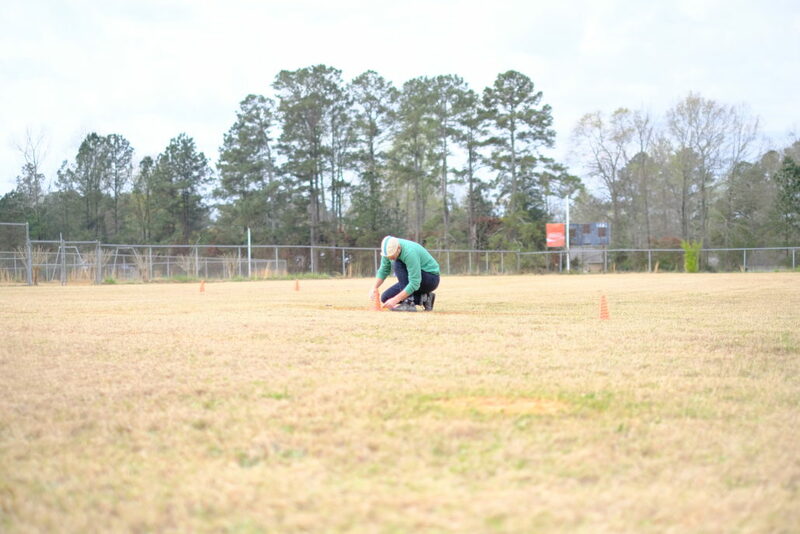 Down at the Union Point Ball Fields, we set up a course to teach kids 1) how to safety start & stop; 2) safely avoid obstacles; 3) scan and signal turns; 4) and yield. 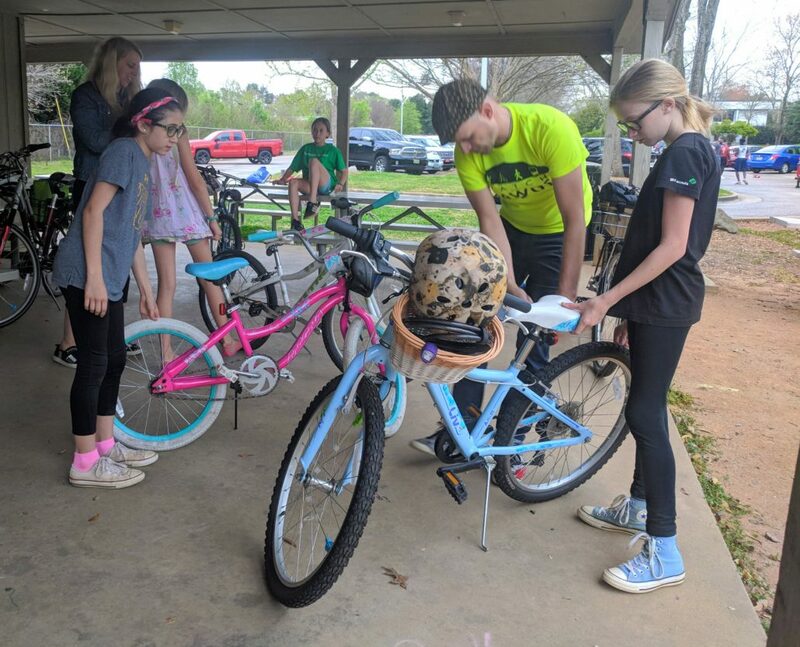 All the kids received a helmet fit test and bike check. 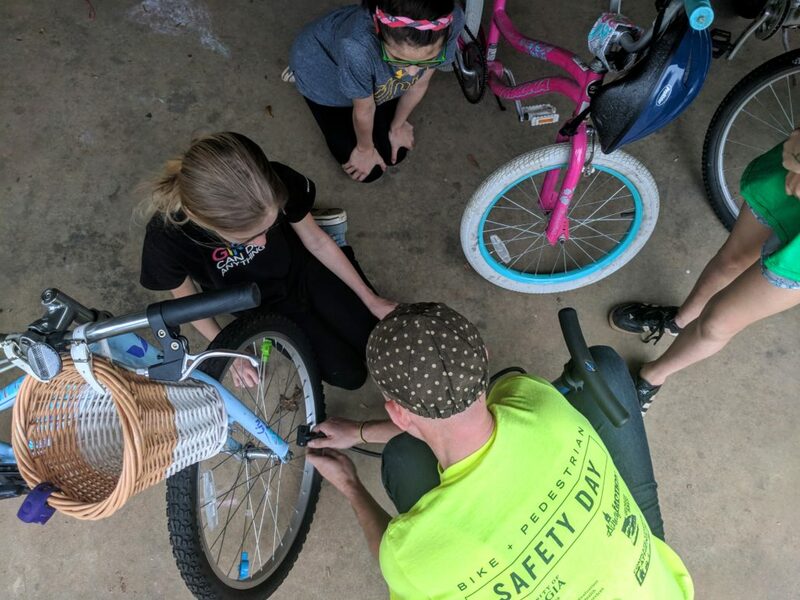 For some riders, we practiced emergency stops, and we provided a quick lesson on brake adjustments. 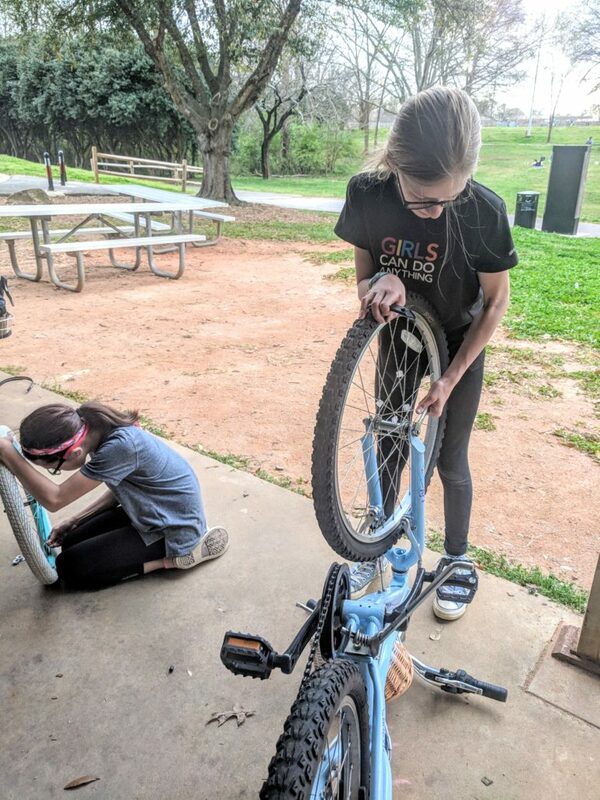 At the end of March, we provided a quick bike maintenance lesson to Girl Scout Troop 12051. 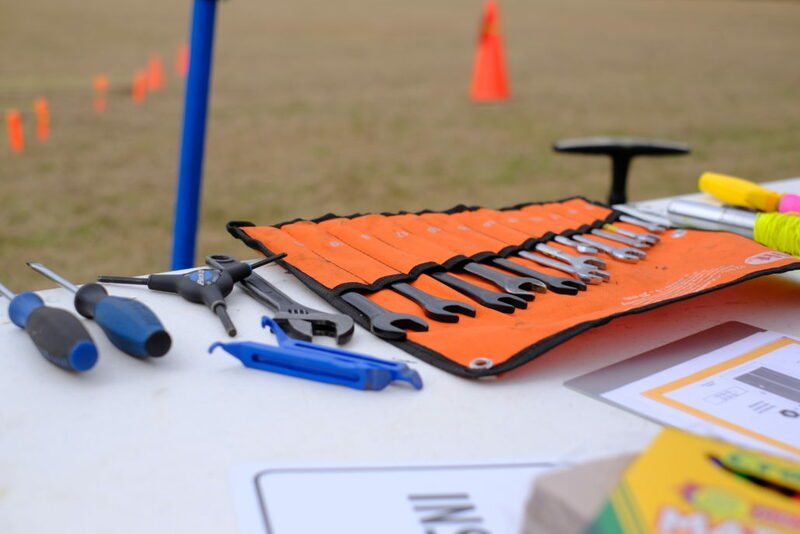 With spring in full blossom, we met the Scouts at Bishop Park to review the ABCs of bike maintenance. The ABC Quick Check is a fast way to ensure your bike is in safe working-order. A = Air. 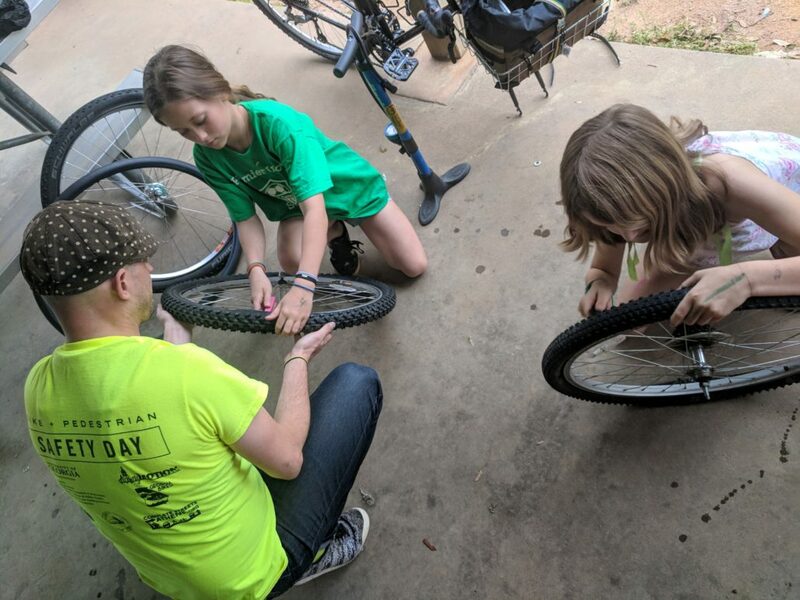 We taught Hannah, Bella, Sloan, and Ferrell how to check their air pressure and circled back to teach how to fix a flat. B = Brakes. We reviewed how check brake cables & levers are working. 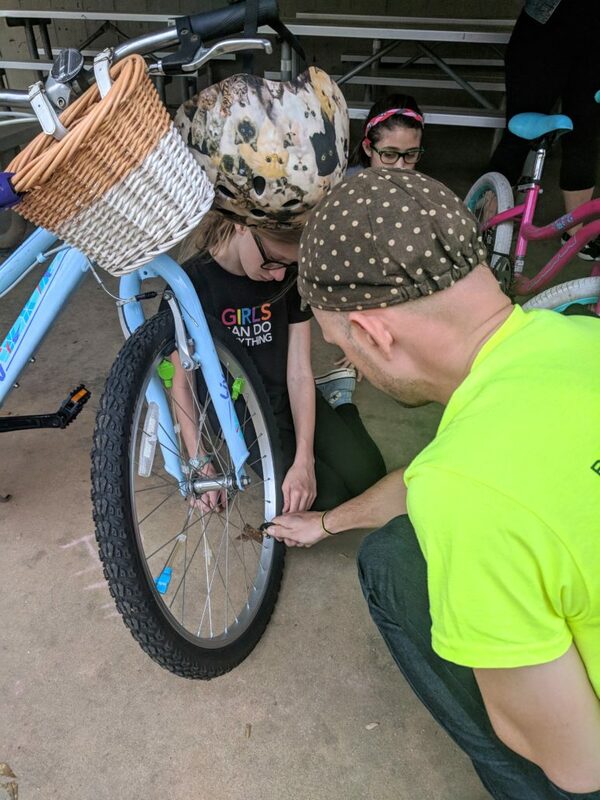 As part of fixing a flat, we showed the Scouts how to disconnect and reconnect their brake cables. C = Chain, Cranks, & Cassettes. We also covered the 3 C’s of Chain (look for rust and dirt), Cranks (check for a loose bottom bracket), and Cassette (make sure the gears work). 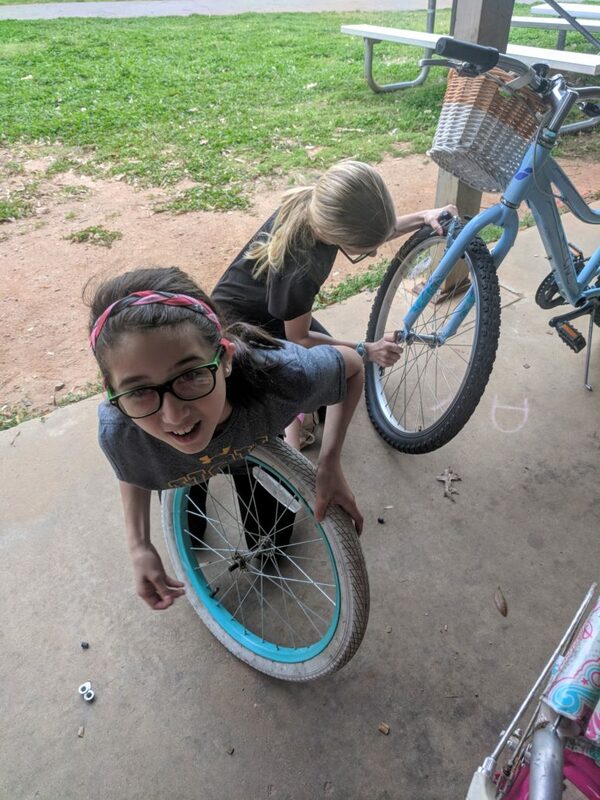 Hannah and Ferrell had quick release levers on their bikes; they practiced tightening their Quick-release levers. Bella and Hannah worked on tightening their wheels. After “fixing” flats on their own bikes, the Scouts went for a fun ride around the park. 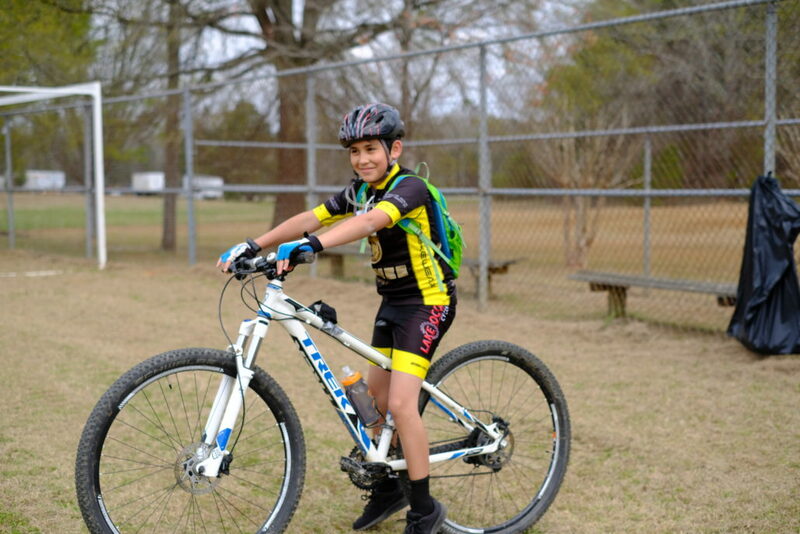 For more information on our educational classes look at our Bike School.